Mayor DeBlasio’s universal pre-K initiative has presented challenges to policy-makers and service providers in regard to finding funding, space, and teachers for the multitude of new classrooms opening across our city. An important challenge that deserves equal attention is how to ensure that the programs are of high quality. Over the last several decades, an explosion of research from across the disciplines –neuroscience, psychology, sociology, medicine, and education – has confirmed that young children’s learning is optimally developed through active engagement with materials, experiences and relationships. What this means is that young children learn best through meaningful and purposeful active experiences in classrooms that utilize the multi-modal nature of how they learn. Such classrooms are equipped for hands-on learning (i.e., objects that can be manipulated to make sense of mathematics, natural phenomena for science investigations, materials for explorations in the arts, well-stocked libraries, areas for block-building and dramatic play). Support for this kind of learning requires teachers who understand child development and who can teach important content and skills by embedding them in real-life educational experiences rather than soley through didactic instruction (i.e., learning letter-sound correspondence through rhymes, games, and chants; developing a sense of number through everyday activities such as passing out snack, lining up for recess, discussing concepts in story books, playing games, and engaging in activities with manipulative materials). In short, prekindergarten should not look like the fourth grade, simply with students who are younger. The best way to prepare young children to meet the rigorous expectations of later schooling and life is to teach them in the ways that they learn – active, play-based experiences that foster their intellectual dispositions and enable them to construct and consolidate understandings of the knowledge and skills to which they have been exposed. Also important to acknowledge is that young children learn best when there is support for their social, emotional, and physical selves. Children’s development does not occur in isolation but rather requires supportive environments of caring adults in families, schools, and communities. The quality of relationships that young children experience affects the quality and extent of their learning. Close and dependable early relationships – that provide love, nurturance, and security, that are responsive to their languages and cultures, that foster connections, and that encourage engagement and exploration – promote optimal development. When children do not have such a nurturing environment, their development can be seriously disrupted. In the context of active, play-based classrooms, it is also important to expect that development does not proceed in a uniform manner. Rather, different children bring different strengths and intelligences to the learning process and develop at different paces and in different ways. Diversity and variation are the norm, not the exception. So goals for achievement need to be framed in the context of developmental spans, rather than rigid age/grade expectations. Assessment of young children’s progress and programs should reflect these understandings. Standardized multiple-choice or fill-in-the-blank tests with right and wrong answers do not belong in preK. Rather, assessments should be observational, focusing on the broad-based nature of young children’s learning and taking into account their natural variation in all areas of development and growth. Assessments should yield understandings that guide future teaching, identify concerns about individuals that may require intervention, and help programs improve what they do. An investment in putting these fundamentals of quality early education into practice is the best investment in the future a society can make. Research shows that early childhood education not only enhances life prospects for young children but also has a high benefit-cost ratio and rate of return. This is especially crucial for the almost one half of our nation’s children who live in low-income families. RELATED: A solution to lost early childhood opportunities in Mississippi? While the problems of inequality and child poverty cannot be addressed solely through schooling, Mayor DeBlasio’s universal pre-K initiative, which is committed to high quality early learning environments led by well-prepared teachers, is a crucial step our city and nation can take in reducing the achievement gap between rich and poor and in improving the lives of our citizens. 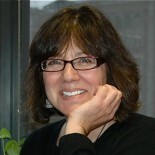 Beverly Falk, Ed.D., is professor and director of Graduate Programs in Early Childhood Education, City College of New York.